Bus firm Xplore Dundee has reaffirmed its green credentials after it emerged it was applying for a share of an environmental cash pot offered by the Scottish Government. For anyone harbouring a grudge against an ex, there are a wealth of ways to express your feelings this Valentine’s Day. A missing Jack Russell dog has been found more than five days after being hit on Dundee's Kingsway. This is the moment a bear turned thief as it snatched a parcel from the front doorstep of an unsuspecting homeowner. A new sighting has given hope to the owners of a dog hit on the Kingsway. A three-year-old boy who went missing for two days has said he was kept safe by a bear. A bear which was trapped in a car was freed by cops who had to shoot out the vehicle’s rear window. A Dundee wildlife centre is mourning the loss of one of its most popular animals. 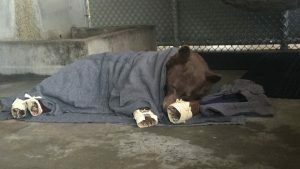 Two bears who were badly injured in the California wildfires last year have been returned to the wild after vets used fish skin to heal third-degree burns on their paws. 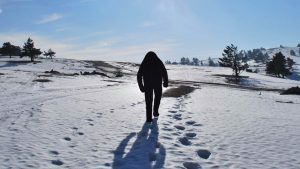 Alleged Yeti remains from museums and private collections are abominable fakes, a study has found. Motorists have been advised that roadworks on a key route in Dundee have been extended by two nights. Camperdown Wildlife Centre has announced that one of its bears has died.